(Newser) – In a move that has prompted the internet to wonder, "Huh?" Coach is changing its name to Tapestry. The iconic luxury goods company, which started in Manhattan in 1941, has since acquired other fashion brands including Stuart Weitzman and Kate Spade & Co., and the name Tapestry is more inclusive, the company's CEO explains, per the AP. "We are now at a defining moment in our corporate reinvention, having evolved from a mono-brand specialty retailer to a true house of emotional, desirable brands," CEO Victor Luis says in a statement. As the company's new website, Tapestry.com, makes clear, Coach will still exist as one of the company's brands; it will just no longer be the name of the umbrella company. The change becomes official Oct. 31, when Coach's New York Stock Exchange ticker symbol will change from COH to TPR, CNBC reports. I always associate coach with fat suburban moms. 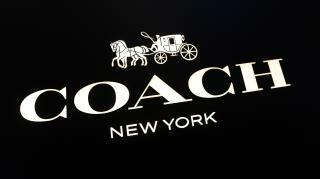 If Coach wanted to be really pretentious, they could their new name could be First Class.